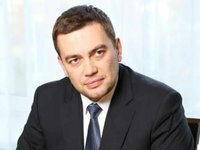 Ukraine's Cabinet of Ministers has dismissed Acting Minister of Agrarian Policy and Food Maksym Martyniuk, and appointed Deputy Minister for European Integration at the Ministry of Agrarian Policy and Food Olha Trofimtseva as Acting Minister of Agrarian Policy and Food. "Martyniuk was fired from the Ministry of Agrarian Policy and Food in keeping with his letter of resignation. Trofimtseva was appointed acting minister," Deputy Prime Minister Pavlo Rozenko told Interfax-Ukraine in a comment after a government meeting on Wednesday.